Disclosure: Party of 5 received a complimentary stay in exchange for our review. All opinions are my own. When we think of the Hamptons, we normally think of summer, beaches and vacations am I right? Did you know there are also lots of things to do in the winter as well? There are! The Hubs and I took a weekend vacation alone which was much needed to visit Southampton, NY . We arrived Friday night at the Southampton Inn in the historic Southampton Village. 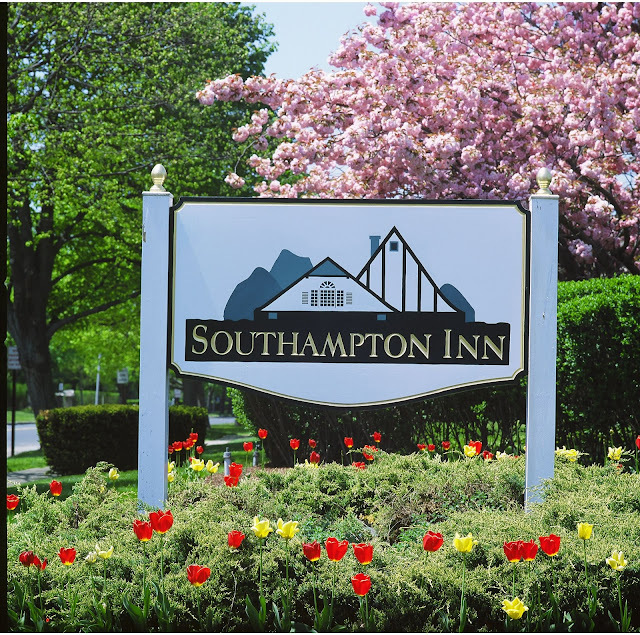 The Southampton Inn is a beautiful Inn featuring 90 charming guest rooms with wonderful luxuries such as Tempur-pedic beds, mini refrigerators and complimentary Wi-Fi. The Inn is quite no frills which is wonderful. It makes you get out and explore. Which we did! In the summer the courtyard is filled with tables, chairs and beautiful umbrellas. The outdoor heated pool is open, there are bicycles to borrow as well as lawn chairs. Southampton Inn also has a BBQ area for guests. You may be thinking, well what about the kids right? 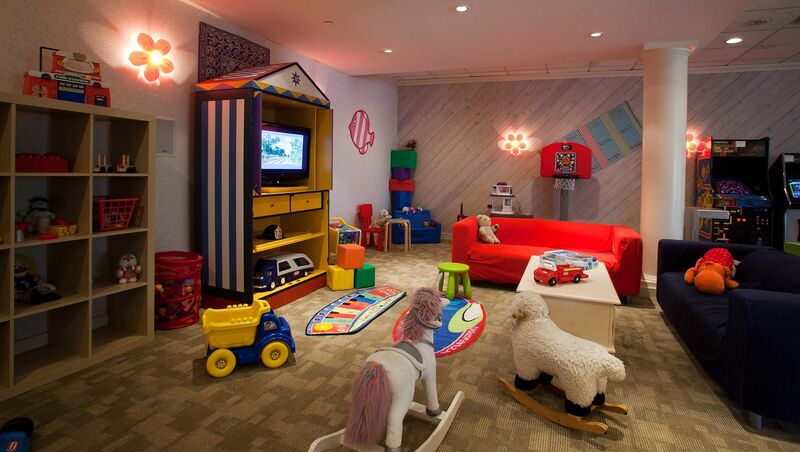 Well, at Southampton Inn they have this amazing game room for kids. Filled with toys, arcade games as well as an area where the Owner Dede told me they have ice cream floats in the summer. Doesn't this look amazing?! 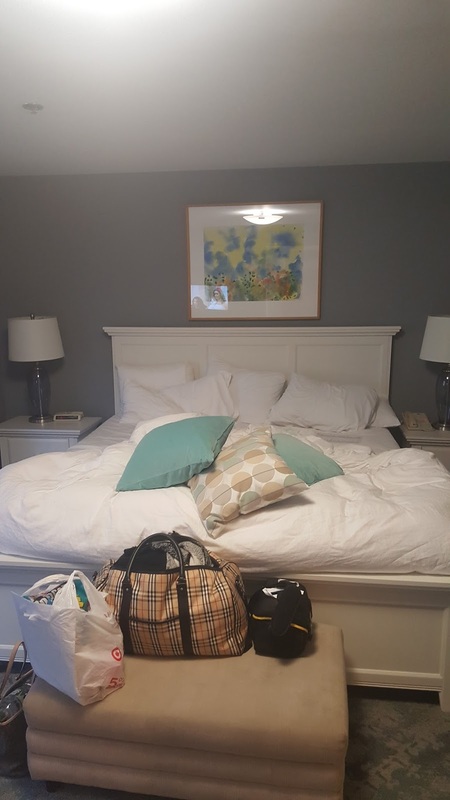 Our room was charming and had everything we needed included a hair dryer, Gilchrist & Soames toiletries, a mini fridge as well as a pull out couch and a King size Tepur-pedic bed. I haven't slept that good since before having 4 kids! 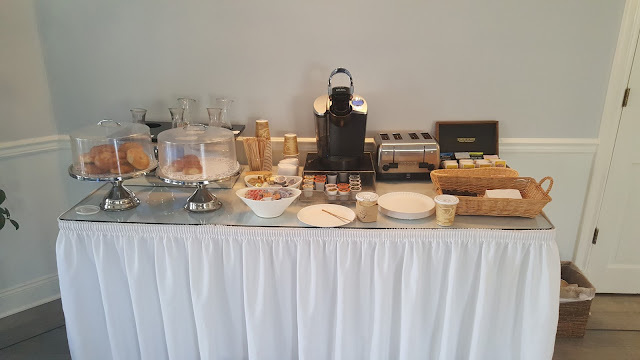 Saturday morning we started off with a continental breakfast at the Inn that included bagels, coffee, tea and pastries in the Library. They also have plenty of books in the Library for you to read. The resident cat, Clyde will likely greet you with a rub against the leg. The Hubs was still hungry so we opted to check out some local eateries for breakfast, lunch and dinner. More on those in a separate post. Our weekend was filled with much needed relaxation and time alone away from our brood. Visiting the Hamptons in the winter is a great idea for a getaway!